All businesses, including nonprofits, no matter how large or small have at least one thing in common…they all need an accounting system. I have seen these accounting systems vary from a hand written checkbook ledger to a sophisticated custom software program, but their main goal is to measure the success of the business based on its financial position. Small businesses have employees, including the owners, who wear many different hats and providing accounting services is one of them. They range from entering invoices and preparing checks to overall analysis of the financial statements to making important business decisions. I don’t think this is the most enjoyable hat to wear for many but it is a very important one. At McGowen, Hurst, Clark and Smith, we wear one hat…helping you with the financial success of your business. We are experts in accounting and can help you with these accounting issues, including choosing the best accounting system for you. We provide a variety of services including Accounting Services, Controller Services, and CFO Services. Accounting Services include providing the day to day bookkeeping for the company. This could be payroll preparation, accounts receivable processing, accounts payable processing, fixed asset management and sales tax calculation and remittance. We at McGowen, Hurst, Clark & Smith are happy to provide all or some of the above services, depending on your needs and choice. If entering information into your accounting program is no problem for you, but you struggle with what to do next, we can provide Controller Services. This would include using the information you provide to produce financial statements that show you the financial position of your company. We will also work with your bookkeeping staff to manage the accuracy and productivity of the day to day bookkeeping including: accounts receivable and accounts payable reconciliations, bank reconciliations, payroll, inventory, fixed asset recording, cost accounting, and general accounting. We can identify proper processes and procedures to adopt for compliance from an accounting perspective, and help document these accounting procedures in a manual for consistency. How will this decision impact cash flow? What accounting software is best for our business? How does this industry specific software integrate with our accounting software? What does the succession of the company look like and how do we accomplish it? Should we have more employees? These are just a few of many questions we can help you answer; or give you information to better analyze these decisions. Outsourcing all or part of your accounting provides more time to focus on your business. When given the tools to help better understand the financial side, you can make improved business decisions and map out a business plan. You are in control of your money and should have comfort knowing your financial information is correct and accurate. If you would like more information on the accounting services that we at McGowen, Hurst, Clark and Smith can provide, please contact our office at 515-288-3279. Losing Weight, Getting Organized, and Spending Less / Saving More. These are among the most popular New Year’s Resolutions on many people’s lists for 2014 (and most likely near the top of every other year too). We are almost two weeks into the New Year, so if you haven’t started on your resolution yet, it’s not too late, and there’s no time like the present to get started! If you haven’t yet done so or do not typically make resolutions, you are actually among the majority – 55% – of Americans who do not partake in this annual ritual. Perhaps it’s because they know that a mere 8% of people who make resolutions actually achieve them. More often than not, we set ourselves up for failure by setting lofty goals or resolutions, without a specific plan or strategy in place to achieve those goals. Whether it is a personal goal or a business-oriented goal, we believe that once we reach the goal, we will somehow be a changed and happier / more successful person. What’s missing in this analysis is the fact that change in human behavior does not happen overnight. It takes many small steps and repeated behavior patterns over a sustained period of time for anything to become habit, and eventually second nature or part of our daily routine. Perhaps, then, instead of calling them New Year’s Resolutions, we should call them New Year’s Intentions. I am not suggesting that we should dismiss the importance of setting long-range goals for ourselves or our businesses, but rather, I believe that we should focus on the processes or systems that need to be put in place to get us there. Sometimes, the “all or nothing” mentality that we place on ourselves in setting goals is just as much a barrier to real change as is low motivation. An intention, like a process or system, is an ongoing effort. There will be stumbling blocks and deviations along the way, but it’s important to remember that incremental progress is still progress. What’s your intention for 2014? If it is to lose weight, start moving more and make healthier food choices rather than setting a specific number of pounds to lose. If you want to get organized, start by simply putting away whatever tool, item, clothing, bag, etc. you use immediately after using it rather than developing an elaborate electronic-based flow chart or to-do list. 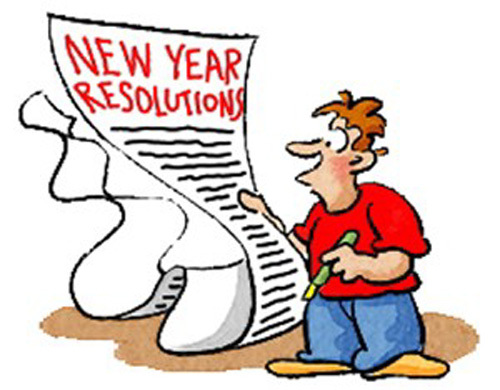 Resolutions and individual goals come and go, and at times can be overwhelming to achieve. Putting a process in place to make small changes to your daily routine with the intention of changing your life places a more positive, sustainable approach on your objectives. You are currently viewing the archives for January, 2014 at McGowen, Hurst, Clark & Smith.